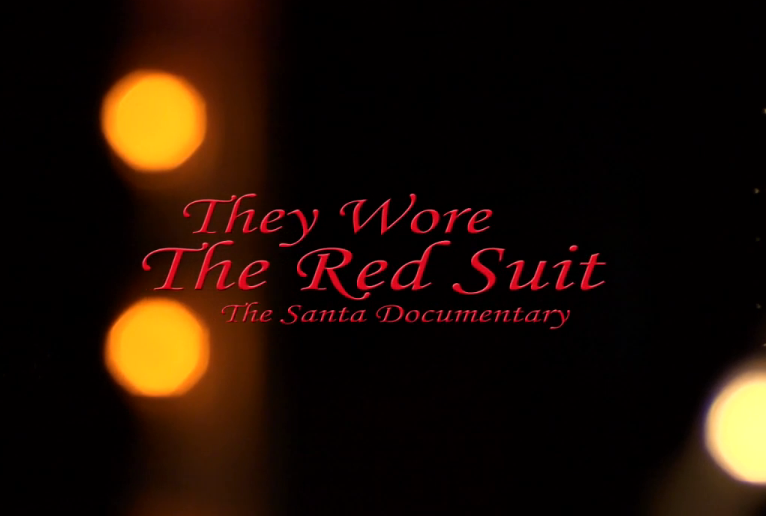 I was recently granted access to watch the new documentary film They Wore the Red Suit: The Santa Documentary released within the past year. The film is directed by Larry Peter and has spent the year on the film festival circuit. This is where I heard about it. 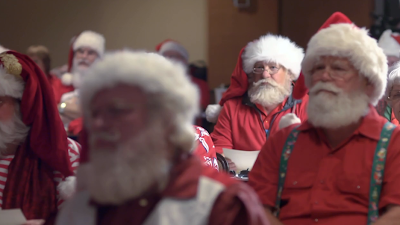 The documentary focuses on the men who choose to work professionally as Santa Claus. The film acknowledges the role of Jim Yellig, a professional Santa Claus who forever shaped and influenced all other professional Santas. 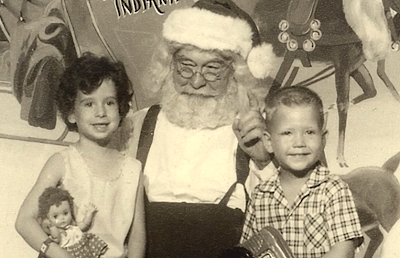 This film is a rare glimpse at those who make Santa Claus their vocation and the behind-the-scenes industry that supports them. Phillip L. Wenz who works as a professional Santa and serves as this movie's consultant estimates that up to 10,000 men work as Santa Claus seasonally, several hundred men are able to make working as Santa Claus their primary career, and only a handful work as Santa year round. However the challenges and rewards to working as Santa may not be obvious to the casual observer. Students at Santa Claus school. The film explores the history of noteworthy professional Santa Clauses and the International Santa Claus Hall of Fame. 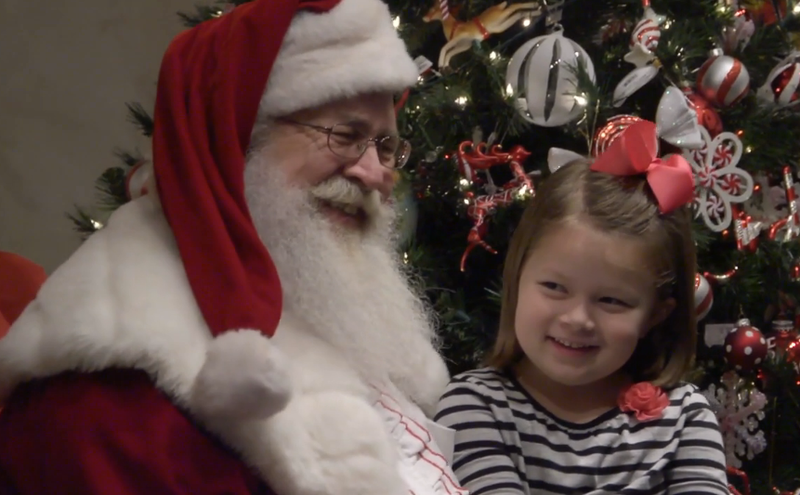 Viewers are also introduced to several Santa schools and their importance in the industry, as well as Santa Conventions and their value in gathering professional Santas together to share their unique experiences, wardrobe requirements, and camaraderie. 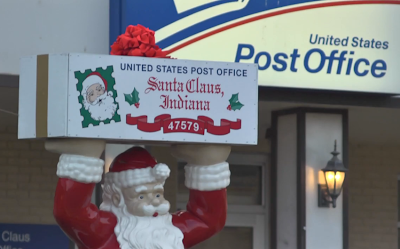 The film also details the history of several tourist destinations, for example Santa Claus, Indiana, where Christmas culture exists year round giving several professional Santas a chance to earn a full time living. Why would someone choose to work professionally as Santa Claus? Perhaps the most interesting scenes in the film concern the psychology of the men who choose to take on this particular vocation, asking questions such as what initially attracts them to this work? what continues to inspire them? and how do they handle answering children's "difficult questions?" --children asking Santa for impossible Christmas wishes. Santa Claus, Indiana has been an important hub of Christmas culture for decades. They Wore the Red Suit is currently on the festival circuit while its filmmakers are seeking to get it aired on PBS in the near future. While it's not available for purchase yet, I'll let you know if I see it airing on television in the upcoming holiday season. You can check out their website at They Wore the Red Suit and follow the film's progress and receives updates on their facebook page. You may also remember another documentary movie that aired on OWN in 2011 entitled Becoming Santa. Directed by Jeff Myers, Becoming Santa explores one man's transformation to become a professional Santa Claus for one holiday season. This sub-culture is a world unlike any other and if you're drawn towards understanding the men who take on this role, I encourage you to seek these films out. Thanks for commenting Paul. I look forward to reading more of your posts too.